Good location close to Delhi and New Delhi. Good hot water and shower water pressure. Room was pretty clean. Less good: an uncomfortable mattress—we really felt the springs! There was limited housekeeping; we had to ask for new towels a few times. And despite being a hotel, the breakfast was more limited than I have had in far cheaper hostels: some boiled eggs, toast, coffee and tea. Altogether a mixed bag, but fine for a very short stay in Delhi. Although I have stayed here previously. When I arrived this time they had over booked and I was told there was no space. I was offered the hotel across the road. It wasn't a heritage hotel and was £10 cheaper a night but a refund was refused. Another guest overheard a conversation which suggested over booking was common practice. I will not try to stay here again as they're collecting money from agoda and failing to deliver or compensate. I think this is fraud! 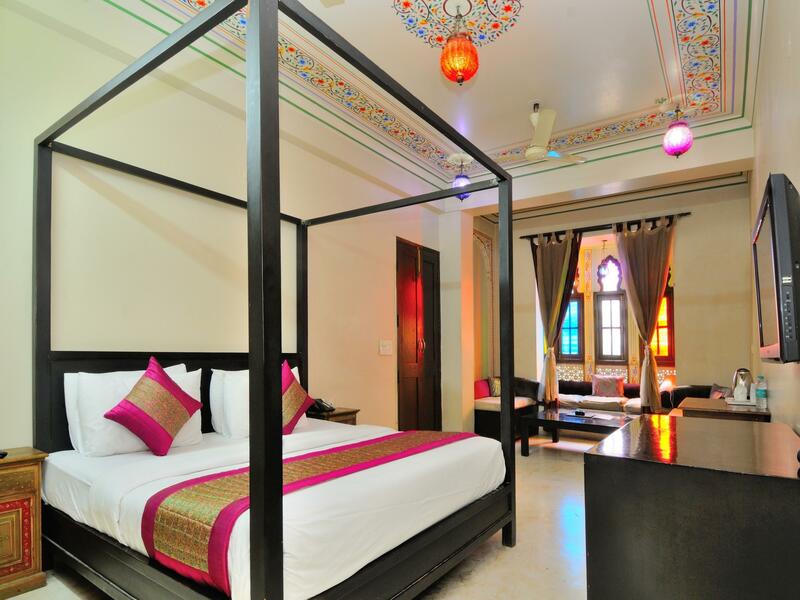 We enjoyed our stay at Jyoti Mahal, Paharganj is a buzzing area. The restaurant and staff were both very good. The hotel was near everything for a great cultural visit. Staff were polite and welcoming. The decor is in keeping with a traditional look. 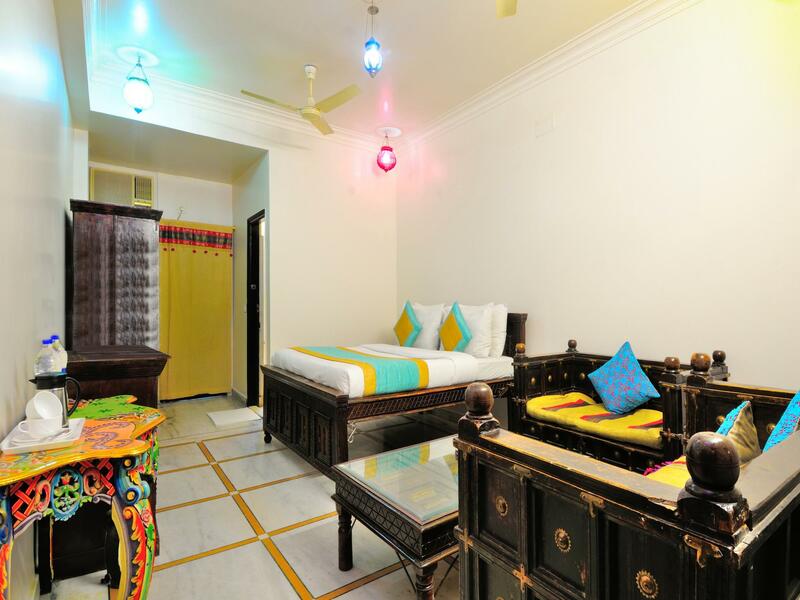 Everything you need for a comfortable stay in lively and buzzing part of Delhi. They can organise tours for you but it was too late as we had already booked one. Need to advertise this on web page as we would of preferred to of booked through them and taken the hassle out of organising it ourselves. Cons- on our first night we didn’t get any water to our room and only one towel and shower dripped but our second visit we were given a bigger and more luxurious room. Good but tons of confusion with my booking. Firstly they do not offer free airport pick up and they kept telling me that my credit card was not charged even though it was. Breakfast was terrible, the cheapest ingredients they can get. I skipped if and are elsewhere even though it was free with my room. Also when I booked it said free airport pick up. I called and emailed multiple times before getting any answer about my taxi. Upon arriving to the hotel (5am after two international flights) a guy from Agoda was in the lobby trying to get me to book train tickets etc....this was rude and deceiving as I thought that he was hotel staff. The hotel has great decor with real indian flavor and has fantastic showers. 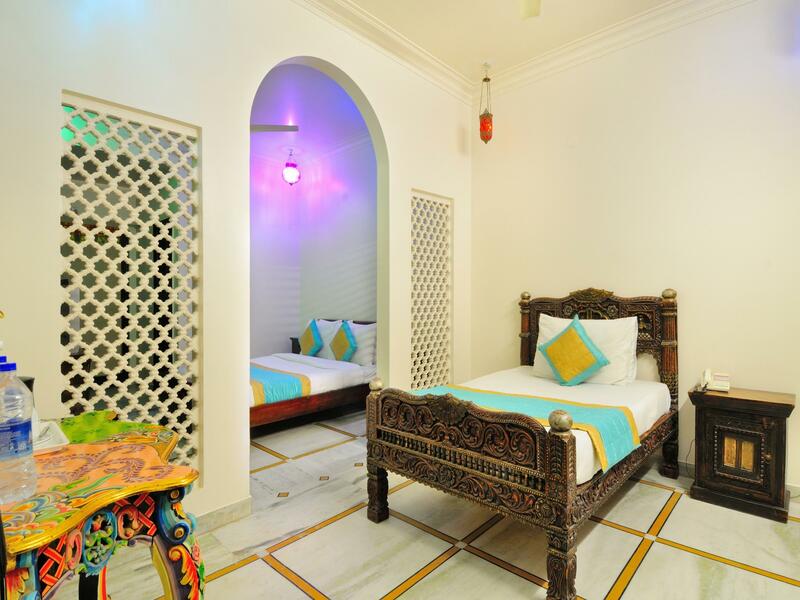 Great location in paharganj ! This hotel in the rather busy/dirty Pahar Ganj district tries to affect an air of Haveli style, but it's very much a surface conceit. I stayed in the "Suite" room, which was large, but a bit worse for wear and way too close to the rooftop kitchen (the walls are thin). For the price it's quite okay, just don't expect too much from the pictures. The aforementioned rooftop restaurant is a hidden jewel, though. It hides a lot of the surrounding area and has a pretty decent decor, and the food was quite great. If it saves you from venturing out in the chaotic neighborhood after arriving late, it's all good. The entry lobby was right out of lonely planet ~ the rest from Fawlety Towers! Our room had a fridge, shower, TV and air con, nothing worked and whilst I was a girl guide, and did all the camping things, did not expect to wash in a bucket. Also, the bathroom had hot OR cold water, but not together....that bucket you see on the website is the shower, hand basin and more often than not the toilet flush... Three are better places in that area at a better price, and more civilised.. The hotel was perfect! However, I would not opt to stay in this area of the city. Located in the bazaar but quiet. Walking distance to Cannaught Place. The best sheets on my India trip! An interesting formerly derelict Havali that has been mostly renovated and restored. Staff are attentive and eager to help - rooftop restaurant is communal and a good place for a chat if you are a lone traveller. 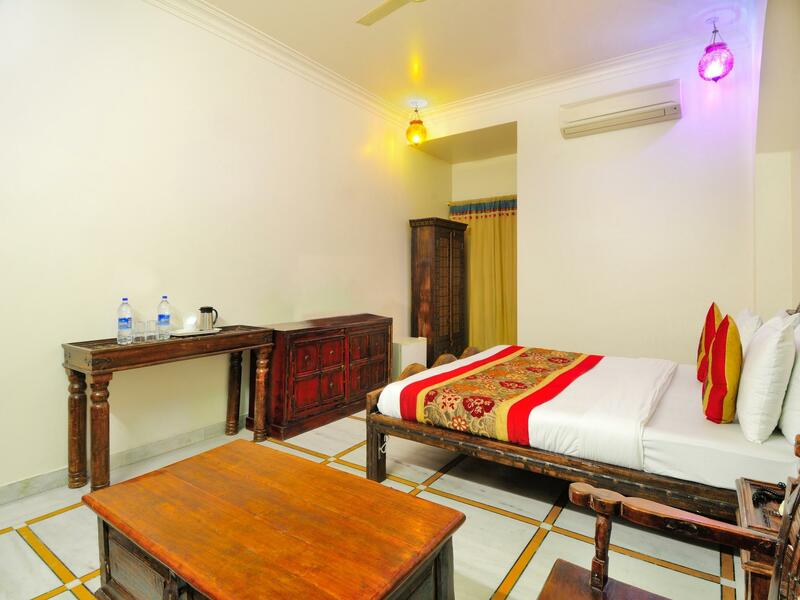 Good value for services and rooms provided. The usual small things that don't quite work that are typical in most Indian cities - but nothing that's a big deal or will spoil your stay if you are realistic about hotel challenges in India. Would recommend as a secure comfortable place to base yourself in Delhi. After some issues with a shower, they proposed me another room. It was very kind of them. My washing was done the next day. I was very satisfied. Make sure you have some cash for services. I expected better. Starting with a no-show airport pickup then a room where the TV, and then the phone didn't work, and moving onto a very noisy balcony (promised private but shared) room. I was shocked to hear the hotel was only 8 years old...already doors and windows did not close, exasperating the out-side noise which was mainly made by the hotel staff being Indians on the street. That said the place did have "character" by the bucket loads. and the Punjabi staff was very friendly. Though the food wasn't that great the roof top restaurant was a beauty, again serviced by very nice and obliging staff. I guess all in all not a bad place..there are quieter rooms with no balconies. Everyone goes to India to see the real India and I guess this place is the real India in that things almost work but not quite. Keep in mind it still is in the pretty grotty Pahar Ganj area so what can you really expect? I booked a Single Deluxe with free airport pickup for 2 nights. Unfortunately I waited in vain for the pickup and spent 500 INR on my own. The Single Deluxe Room should be 60 sq.m. but they brought me at first in a small room. Even after I asked for the room I've seen on the Agoda-Picture they showed me a further small room with only a small window to the courtyard. At the end I got a bigger room but it was far away from the picture which is shown on the Agoda-Website. The pictures from the roof terrace and the rooms on the Agoda website are pretty different to the real situation! My room had poor furniture, the roof terrace looks nicer now. The service and staff in the restaurant on the roof terrace is nice but sometimes very lazy and forget to bring your drink or breakfast. At the end I got a free taxi ride back to the airport after I complained the missing pickup at the beginning. The location is okay, not too loud and close to the Main Bazar. 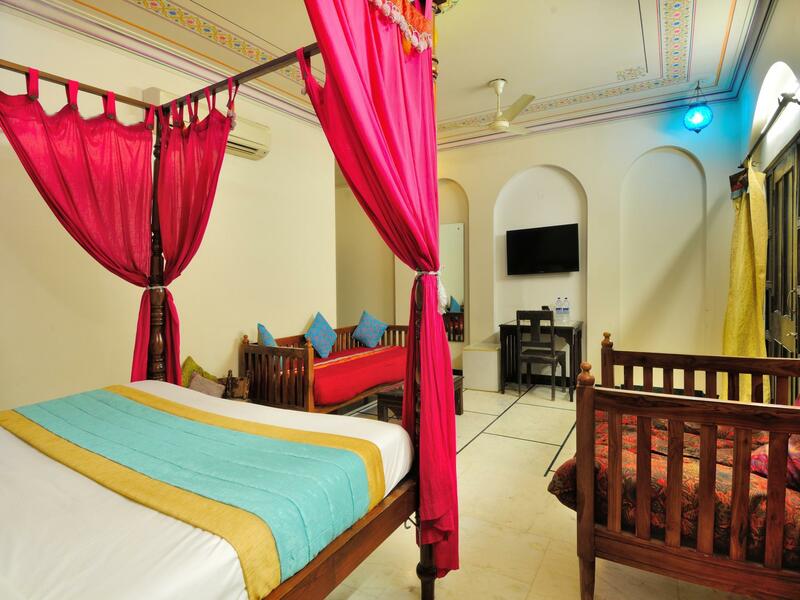 Even though located in a narrow backstreet in a busy quarter of Delhi, the hotel surprises with its charming design, spacious rooms and pleasant rooftop- restaurant. 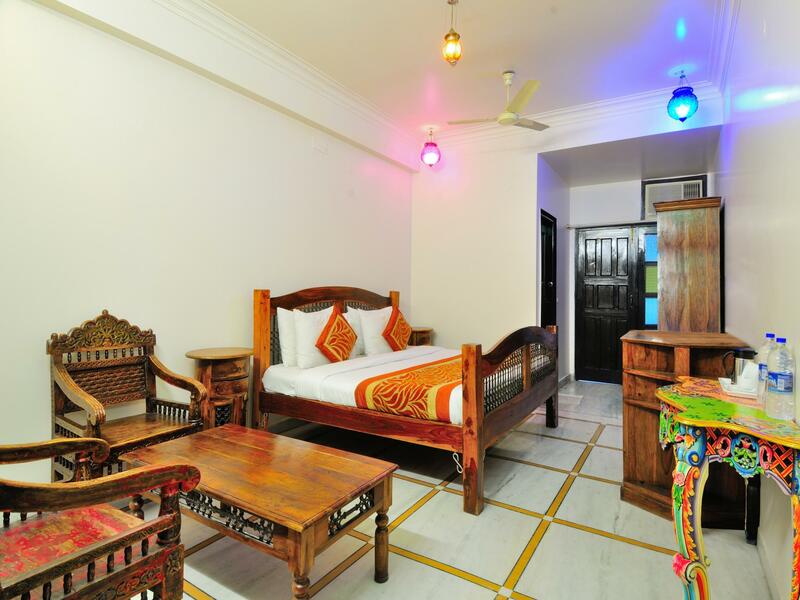 Some effort has been made to suggest an "old style" Indian palace, and the place has a casual, friendly and relaxed atmosphere that stimulates contacts between guests. Only drawback : the management is chaotic, papers get lost, promises forgotten, internal communication is non-existent... sometimes firm words and an assertive standing is necessary, but ultimately things got arranged, if only at the very last minute. Direct booking results in a price that is significantly cheaper than trough Agoda! A clean haven in a central location. Wifi. 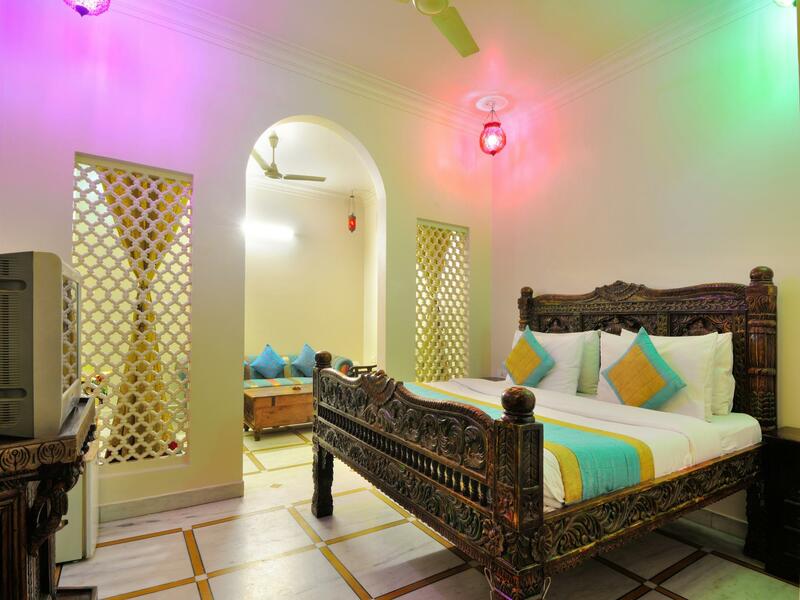 I have been staying regularly at the Jyoti Mahal for several years. Because of new visa regulations, I had to provide a copy of my hotel booking. Booking directly through the hotel would have been too slow, so I used Agoda whose services we have used in the past in other countries without problems. However, this time I was charged 50% above the published hotel price (over Rs 3,000 instead of Rs 2,000 on the hotel site. I in fact paid Rs 1,800 on my last 2 nights not booked through Agoda). Agoda's lower price guarantee is a lie. I met Agoda’s local agent twice after complaining to the hotel management with no result so far. Also, the hotel doesn’t have a taxi service despite this offer published by Agoda. สถานีรถไฟใต้ดิน Ramakrishna Ashram Marg - ระยะ 0.44 กม.